71’ - Adi comes in for the Mouth of the South, Urruti. 73’ - Goal! Timbers get one back as Adi connects on the crossed ball with a tap. 3-1. 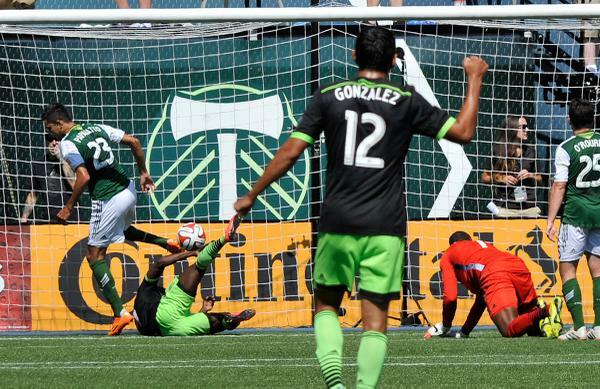 76’ - One of the goals of the season just scored by @oba_martins . 76’ - Oba with just a RIDICULOUS run through the middle of the Timbers defense and pokes by Ricketts to make it 4-1 SEATTLE! 77’ - What was that. Just what was that. WHAT WAS THAT. WHAT. WAS. THAT. WHAT. WOW. Stop it, Oba. 77’ - I have no words. 78’ - Neagle on, Evans off. 79’ - That was the first time I’ve kind of screamed in the press box. Good thing @WeAreECS is drowning everything out. 80’ - I can’t even. 80’ - Clint Dempsey off. Andy Rose on. 81’ - Zakuani on, Nagbe off. Your #Sounders lead the @TimbersFC 4-1 in the 83rd minute. How about that? 84’ - Sounders running the show now. Lamar nearly gets his as the ball is played into him, he fakes cuts around a defender and shoots. Save. 87’ - Zakuani nearly gets one against his old team after some good work from Adi to slide him the ball in space. Wide. 89’ - Sounders settling in now. Chad with the break forward, to Oba, to Lamar…settle, time, time, pass, pass. 4-1, baby. 90’ - Barrett takes a knock and we stop play for a bit here. He’s a trooper though and is up on his feet. 90+ - Three minutes of stoppage time. That’s one and two and three (and four goals scored against Portland). 90+ - Goal for Portland! Adi with another as he blasts home from inside the area. Sloppy goal to give up there. 4-2 #Sounders . 90+ - Oba putting in all the hours right now. Just work on work on work on top of work with work sprinkled on top. And a side of work. 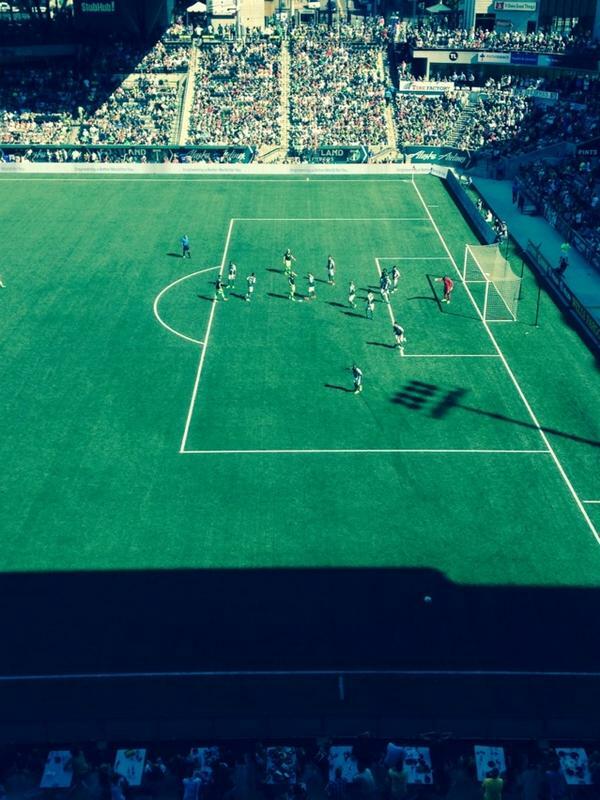 90+ - Sounders passing the ball around, taking time off the clock like it ain’t no thang.